Vomiting is an uneasiness of body. It is not a disease, rather is a sign or symptom of other diseases such as indigestion of food, migraine, spondylitis, overeating or overdrinking of foods and alcohol and many more things. If you do not take care of vomiting early, it may turn serious. You should take a great care in the treatment of vomiting because continuous vomiting makes the body weak. Moreover, with vomiting we loose a great amount of water from our body and our body becomes dehydrated. This article will help you to take few necessary steps to prevent and to cure vomiting. When you vomit again and again you loose a great amount of water from your body. With water you also lose potassium and sodium and other minerals from your body. These are important products to keep you strong. For this reason when you suffer from vomiting, drink adequate water and mix a table spoon sugar and ½ teaspoon salt in each glass of water. Drink at least 7-8 glasses of sugar and salt mixed water in a day. It will help you to keep the right balance of sodium and potassium. If your vomiting is due to indigestion of food then, water of green coconut is excellent. It helps to overcome nausea and vomiting tendency. Lemon water is excellent to cure vomiting tendency. Take a glass of chilled water. Squeeze one lemon in it. Mix a tablespoon sugar and pinch of salt in it. Mix everything well and drink it. It makes your body cool and it prevents vomiting. Moreover, the lemon has a very refreshing smell which helps to cure vomiting tendency. Iced tea is very good to cure vomiting. Make a very thin liquor of the tea. To make it, you need to boil water. Then add very small amount of tea leaves. Keep the lid on for a minute or two and then strain the liquor. Add honey and mint juice in it. Mix well and preserve it in refrigerator. Drink a cup of this tea when you feel vomiting. Ginger juice is excellent to cure vomiting. Peel and grate ginger. Take a tablespoon of grated ginger and 2 pinches of rock salt. Chew well and swallow it accompanied with a glass of cold water. If the vomiting is due to acidity, this natural medicine works well. Fennel is another good medicine for vomiting. Soak some fennel and candy in water overnight. Next morning strain the water and drink it. Drink this regularly and you will soon get relief. Grate 1 inch ginger, and take 1 inch cinnamon, 1 tablespoon cumin, 1 tablespoon coriander seeds, and few black pepper seeds. Roast everything and crush them into fine powder. Take a teaspoon of this powder in water and add rock salt to taste. Mix everything and drink the water. If the vomiting is due to worms and indigestion, then bitter gourd works well. Take some fresh bitter gourd and boil it in the water for a long time. Mash the boiled bitter gourd in the water and drink the whole thing. Drink it regularly and you will get benefit. 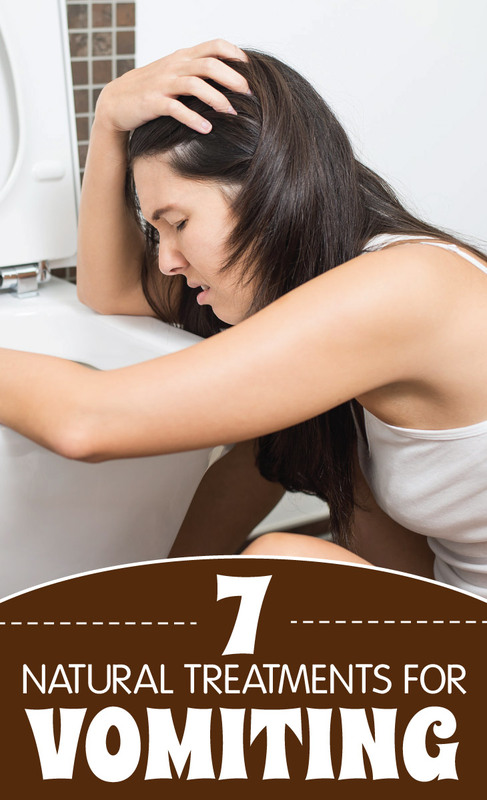 You can stop vomiting of your own by using these simple methods. But if you cannot, you must visit a specialist for the treatment for vomiting.